Heading out this past weekend for a birthday celebration, Sarah and I found ourselves invited to New Tan Tan. 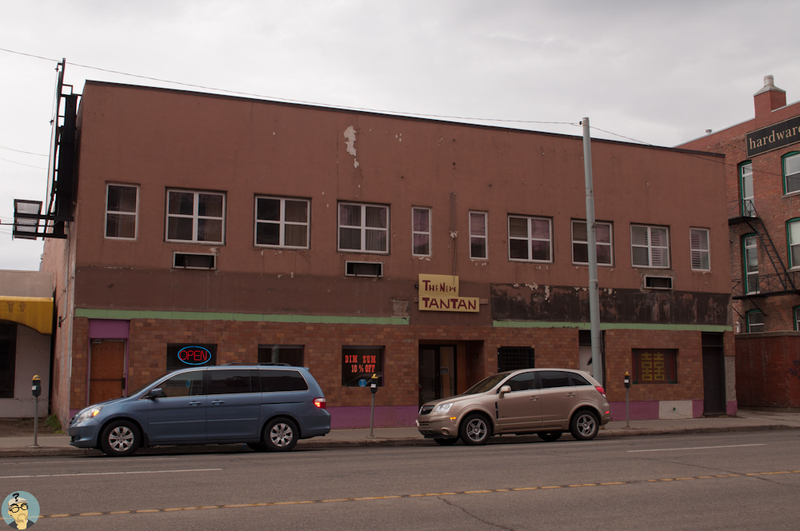 Situated on 97th street, just north of The Hardware Grill, I have to say New Tan Tan probably fits the dive protocol from the outside, but the open, bright interior welcomes you with warming arms and a glowing tv. Arriving just after the dim sum rush, Sarah and I got caught up with other guests and started waving down carts. Even with the main room showing remnants of the busy tables, I was pleasantly surprised to see carts still being pushed around the room. In fact, during 80% of the visit, we just about had sole access to the carts. Which is a good and bad thing; good because we could have first pickings of whatever we wanted, and bad because some items seemed to have waited past their best, and freshest moments. But I`ll get to that. By no means am I a dim sum expert, so I’ll let the slideshow dominate the story. Our options were split into two carts, with the cold options on one cart and the hot items on another. The staff at New Tan Tan were super helpful. From patiently repeating options to answering questions from the group about allergies, they were spot on. They also helped plate and serve the overload of birthday sweets. The above is by no means what the entire group had but covered our selections. I did hope that someone might order tripe with me, but after being left alone with the chicken feet I didn’t take the chance. Just like any dim sum experience I’ve undertaken, the quality and freshness of each item is usually determined in some way by when you get it. Take the haw gow for example, which on first arrival was a bit chewy but after getting a fresh order mid way through, I was impressed by how good they were. I have to commend them for plump, perfectly cooked shrimp. Other table favourites included the sui mai which were ordered by the cart full at one point I think and the lotus wrapped sticky rice. The one thing that surprised both Sarah and myself, is that we ate ourselves silly. Plate after plate (with some repeats), and we still managed room for cake AND cupcakes at the end. Phew! A great birthday party, amazing service, and some pretty damn good dim sum means I wouldn’t hesitate to go back if I was in the area. It is unfortunate about some of the dim sum waiting past their prime, but it was either that, or not get anything because it’s so damned busy that things get snapped up too quickly! !